Hans Hahn was born on 9 February 1919 at Rheydt in Rheinland. Hahn trained as a bomber pilot and was assigned to a Kampfgeschwader in January 1940. In May, he sank a 4,000 BRT freighter off Dunkirk. Shortly thereafter, Hahn transferred to the Nachtjagd. Hahn was posted to NJG 2 on its formation in September 1940. 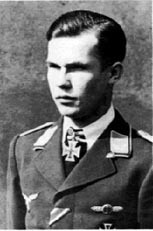 Feldwebel Hahn was assigned to 3./NJG 2. He gained his first victory on the night of 24 October 1940 on an intruder mission over England shooting down a RAF Whitley twin-engined bomber as it took-off from Linton-on-Ouse.  He gained considerable success operating over England in the intruder role being awarded the Ritterkreuz on 9 July 1941 for 11 victories, the first night-fighter pilot to receive this decoration. His success did not come without cost. On four occasions he returned to his base at Gilze-Rijen with his Ju 88 operating on one engine only. On one occasion he returned with a British balloon cable wrapped around one wing. Leutnant Hahn was slightly injured on 31 July 1941 when his aircraft crashed on take-off from Gilze-Rijen. He shot down a RAF Wellington twin-engined bomber over Scunthorpe on the night of 16 August 1941 but debris from the bomber hit his aircraft putting one engine out action. Once again he had to bring his aircraft back to base on one engine. On the night of 11 October 1941 he attacked a RAF Oxford twin-engined trainer over Grantham. During the attack his aircraft collided with the target and he perished with his crew in Ju 88 C-4 (W.Nr. 0851) R4+NL. Hans Hahn was credited with 12 victories. All his victories were scored on night intruder missions over the Bristish Isles.